Rich Landers covers the surprising growth of northern pike populations in Northeast Washington’s Pend Oreille River in a big article yesterday. “Where we caught three or four fish in a net last year, we were catching six to nine or more,” WDFW biologist Marc Divens told the Spokane Spokesman-Review outdoor reporter. WDFW and the Kalispell Tribe netted the river on two occasions this spring, catching nearly 800 of the fish, which are believed to have come downriver from Montana and Idaho and are now breeding. 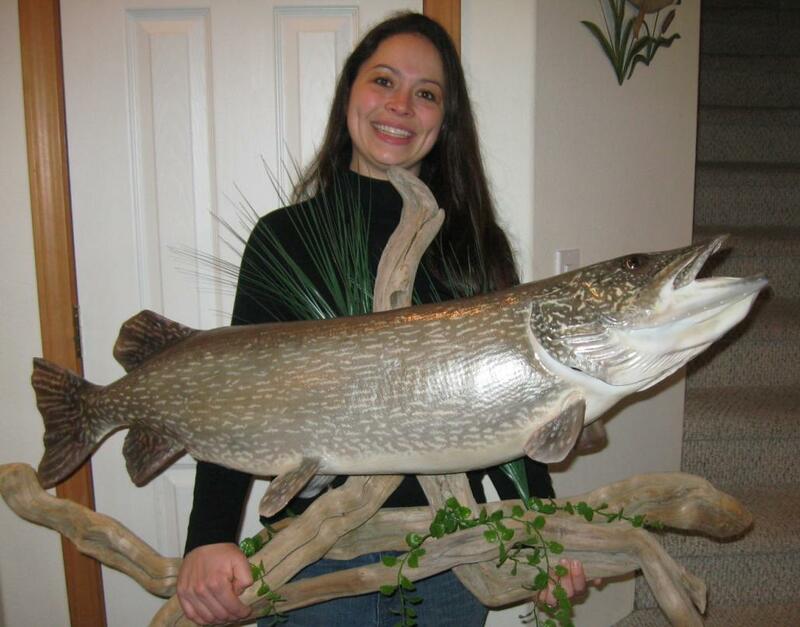 About 10 years ago a friend who worked for the tribe told me about pike in the Pend Oreille. It was kind of a local secret at that point, but the fishery has become more and more known with Landers’ coverage as well as articles in the old Washington Fishing & Hunting News. The PO used to be known for its largemouth bass angling — it plays host to the fourth of five tourneys this weekend — but more and more anglers are targeting northerns. And this fall, NW Tiger Pac will hold a northern pike derby on the river. THE PIKE DIDN’T STOP at the state line. In Washington they’ve established at least footholds, Long Lake (also known as Lake Spokane) and the Pend Oreille River. But unless they’re keeping mighty quiet about it, very few anglers are specifically targeting Long’s northerns despite the fact that it’s held our state record, a 34-pounder since 2004. The monsters that get nailed on that reservoir usually fall to bass guys flipping the right cranks or spinnerbaits. Long’s pike, which most likely came down the Spokane River from CDA, have a fantastic prey base but apparently haven’t found any real spawning grounds, so what you have is a fairly small number of large fish. On the other hand, the pike in the Pend Oreille are definitely propagating, creating a fishery where the bulk of your catch will be in the 3- to 7-pound class, with a fair percentage of low to midteeners. And you’ve always got a shot at a real trophy, a mid-20’s or even 30-pound monster. ALTHOUGH SOME BACK BAYS have local names, Norisada says they’re not really important. The key is to motor up the main channel until you spot what looks like a good back bay then switch over to your electric and motor quietly in and get ready to cast to your target. Originally it was bassers who came back with tales of pike hook-ups, and the spinnerbaits, cranks and spoons designed for big largemouth will still work, though tossing somewhat larger sizes for these toothy predators is now the rule. “We’ve also had good luck with bigger swimbaits in perch, white, gold, any minnow imitation,” Norisada says. 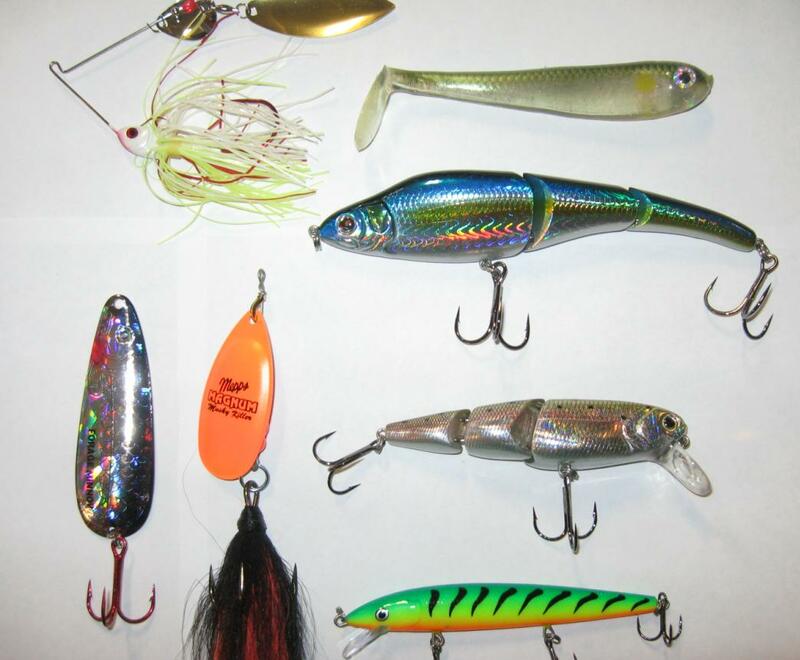 “But a lot of big spoons work well too, ones that imitate minnows, or Dardevles in a variety of colors. “Sometimes, though, especially early on, it seems as if they won’t hit anything, but usually by May it’s ‘game on.’ Pike are ambush hunters and get pretty active when conditions are right. If you want more latitude, purchase a Kalispel tribal permit to fish the bays on the reservation at Usk and northwards, but Norisada says he’s always found plenty of opportunity without that. Those shallow back bays should be good through May and possibly right through early June, but as summer comes on and the water recedes, it’s time to move out farther and fish the weed lines, anywhere from 7 to 10 feet. This entry was posted on June 7, 2010 at 5:07 pm and is filed under HEADLINES. You can follow any responses to this entry through the RSS 2.0 feed. You can leave a response, or trackback from your own site.